Flagstaff Screen Service is proud to serve Flagstaff and Northern Arizona! We are a local, family owned business that strives to offer the best possible service to our customers for years to come. We also welcome the challenge of any level of custom residential or commercial screen work. The owners of Flagstaff's Screen Service have 12 years of custom screen fabrication and installation experience. We appologize, as our site is still under construction. If any portion of it is incomplete or lacks clarity, please feel free to Contact Us with any questions! From the largest custom job, to the most simple repair, we will be honored to be your choice for your screen needs! 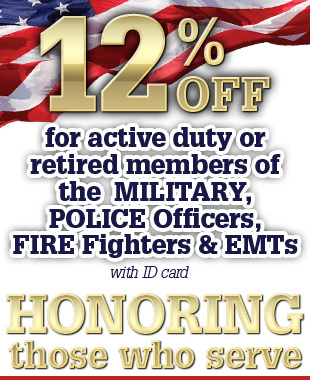 We offer a 12% discount to Military (active duty and retired), Fire, LEO's and EMS every day! Appropriate ID required to receive discount. Copyright 2013 Flagstaff Screen Service. All rights reserved.